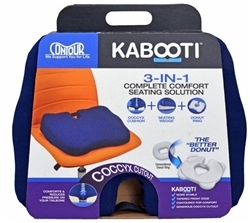 Coccyx cutout extends from back of cushion all the way to the center oval cutout. 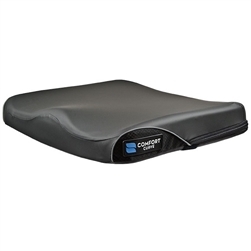 The cover of the seating cushion also has a non slip bottom for added user comfort and safety. 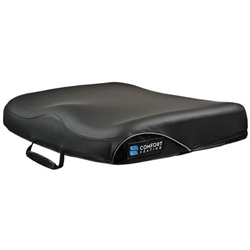 High resilient molded foam to provide optimum stabilization, positioning, pressure reduction and seating posture. 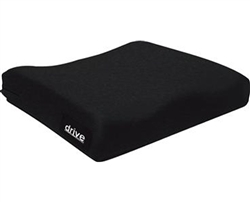 One of our most comfortable cushions according to our customer reviews, and it has a great price! Three layers of high resiliency foam for great pressure relief. Provides anterior build up at midline to prevent forward ischial migration. 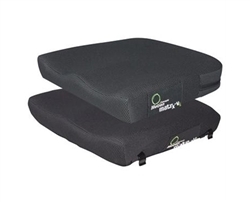 Revolutionary Moleculonc foam provides comfort and support. The outer cover is made of a breathable, moisture-resistant material and includes a slip resistant base. 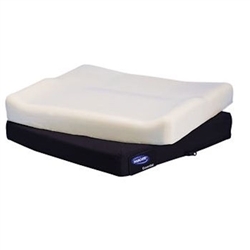 Soft (ILD) High Resilient (HR) foam makes up the top layer of Invacare's Matrx VI Cushion. 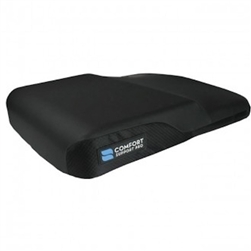 Foam Seat Cushions are designed to decrease the pressure on the sitting area using foam inside of each cushion. This increases blood flow and assists in the healing of ulcers.